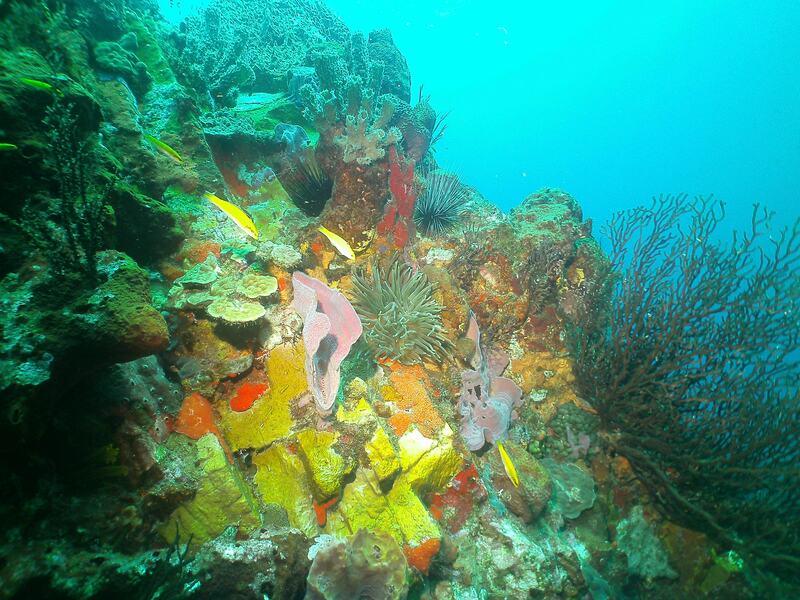 Coral reefs are one of nature’s most amazing creations. Untold millions of miniscule animals form structures of wildly varying forms, textures, and colors, and extend them widely over thousands of years. Some of the structures resemble terrestrial plants or animals, but others look like modernist architecture, surpassing the most fanciful creations of Gaudi. 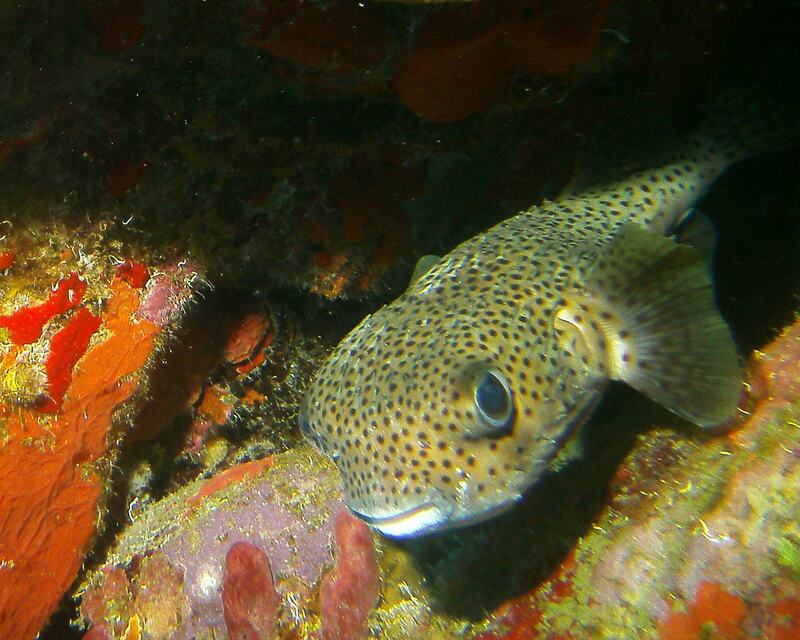 They are home to 25 percent of the ocean’s creatures, and a fundamental part of the planet’s infrastructure. 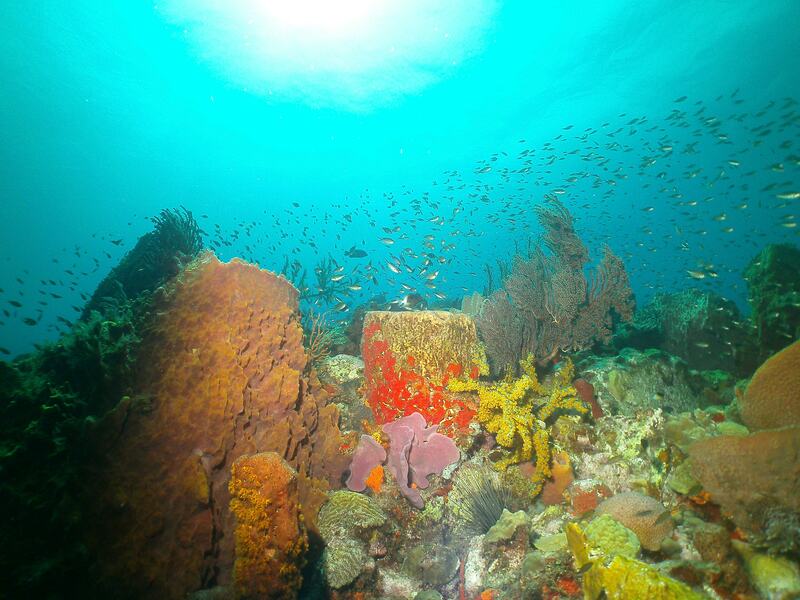 As a diver, I relish the incredible privilege of time with strange and beautiful coral. I’m also acutely aware of their perilous situation, and the urgent need for action. Global warming and ocean acidification are killing coral reefs, and the consequences for all life that relies on the ocean may be catastrophic. I was slightly cheered to see the UN and US reports in the last few weeks highlighting these threats. Perhaps reality is sinking in, and perhaps it is not too late. I have my doubts, but I try to err on the side of optimism. In any case, for the time being, there is awesome beauty to contemplate and celebrate. 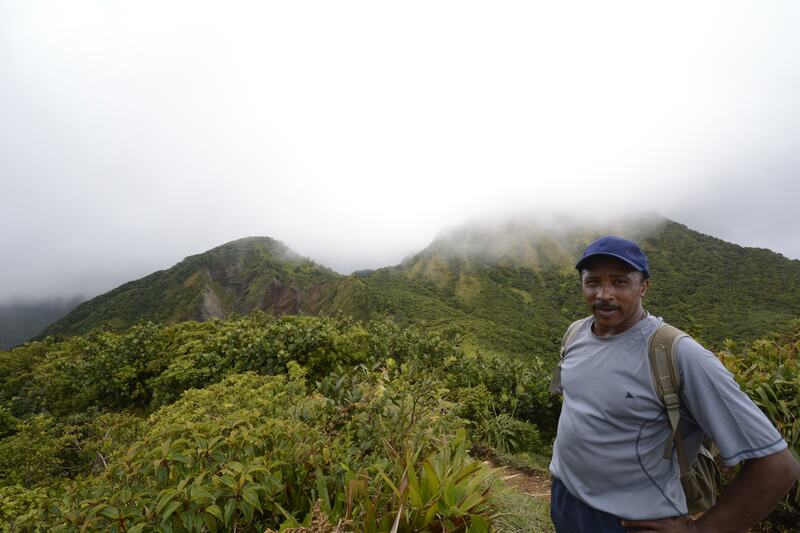 And so last week Sally and I made our first visit to the Caribbean Island of Dominica. I learned the correct pronunciation (doe-me-NEE-ka), and the location – part of the Lesser Antilles, to the south of Antigua and north of Saint Lucia. 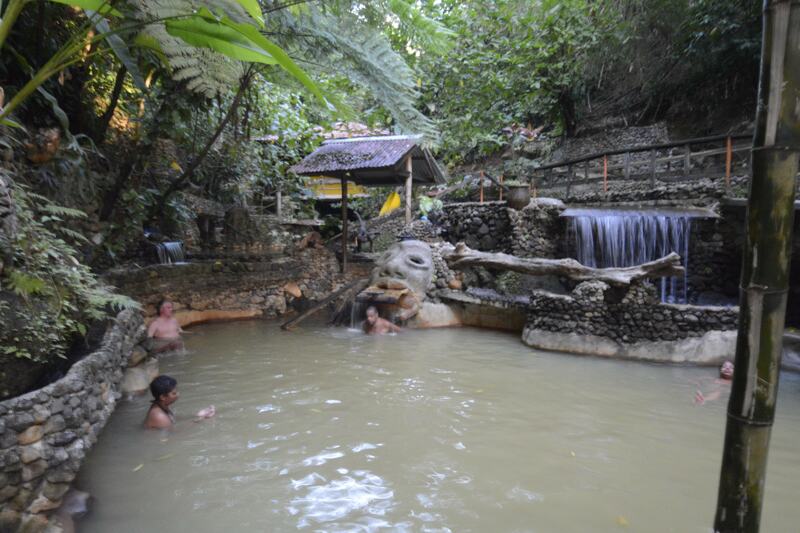 The terrain is mountainous, with peaks up to 4,747 feet, and much of it is covered with lush tropical rainforest. It is exceptionally beautiful. We stayed in the town of Roseau at a friendly, diver-oriented place called the Castle Comfort Lodge, and did our diving with Dive Dominica. 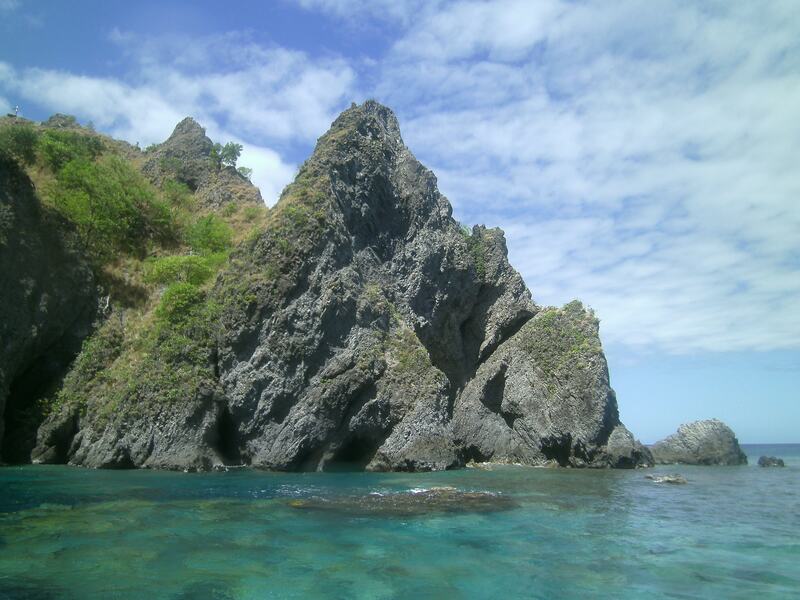 The dive sites we did were mostly 20-30 minutes away by boat to the southern part of the island. Most days we did two dives in the morning and a land adventure in the afternoon, and twice we went out with the DD boat on night dives. The water was a mild 81 degrees F, with visibility of 50-60 feet and little current. The coral seemed fairly healthy, with little bleaching, and lots of variety in shape, texture, and color. There were lots of tube sponges and crinoids, and some anemones. 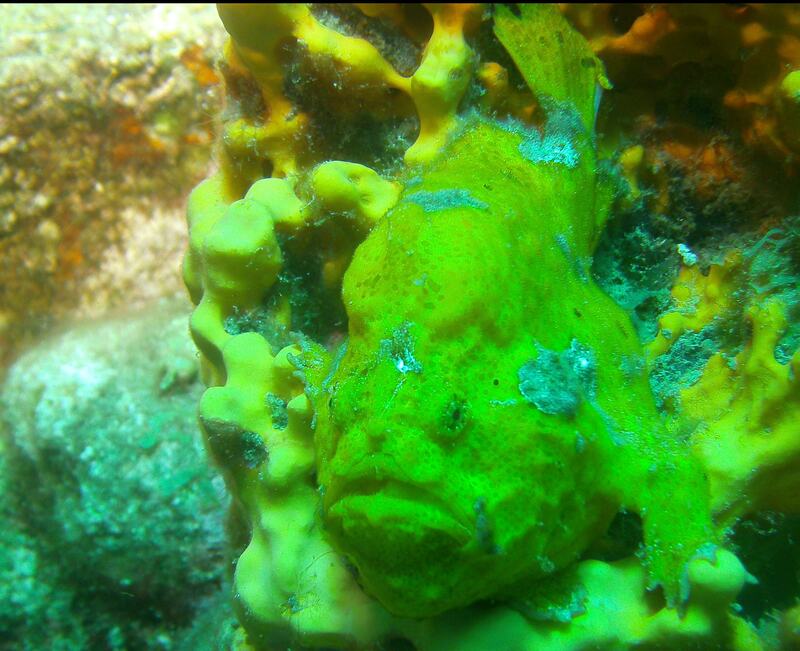 The most interesting new fish to us was the frog fish, a remarkably well-camouflaged and strange creature. 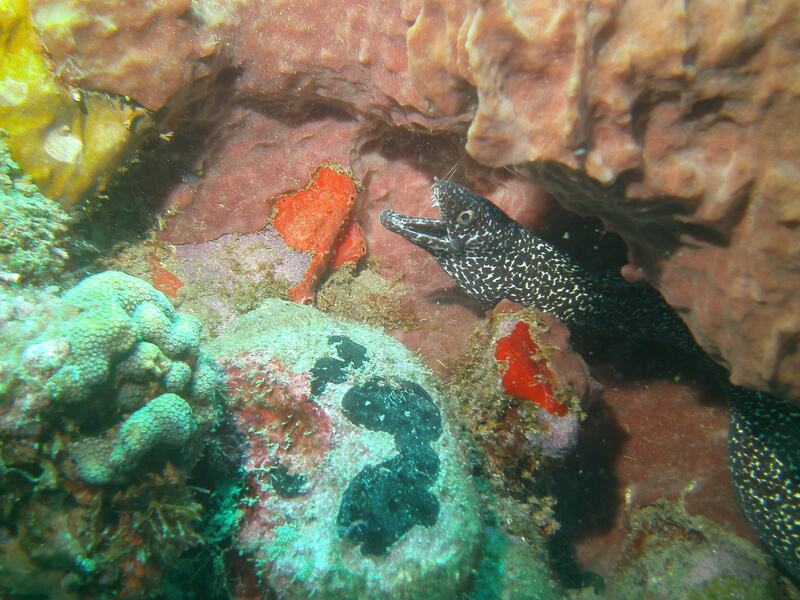 Other highlights were scorpion fish, snake eels, electric eels, sea horses, balloon fish, trumpet fish and squid. There were many small colorful tropicals (such as butterflyfish, damsel fish, goat fish, and squirrel fish). However, I missed my beloved queen angelfish, and there were relatively few larger fish (such as groupers and barracuda), which was mildly disappointing. We saw only one shark all week (a sleeping nurse) and only a few hawksbill turtles. On the other hand, we saw quite a few large lobsters, large crabs, and small shrimp. 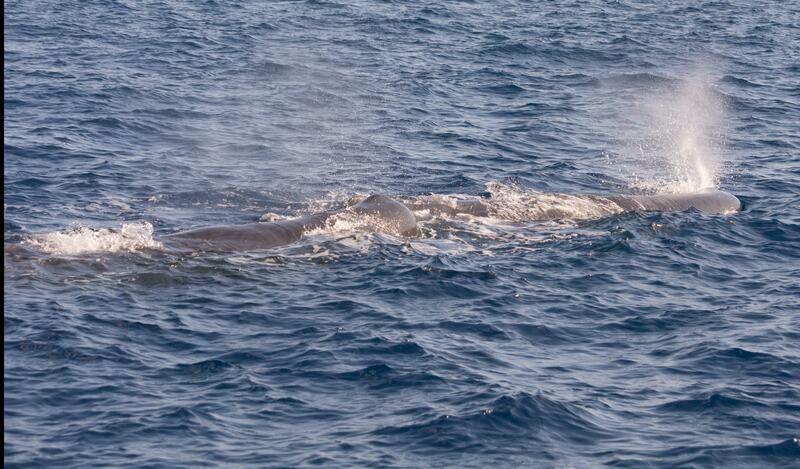 One afternoon we went on a whale-watching expedition and had good views of five sperm whales. 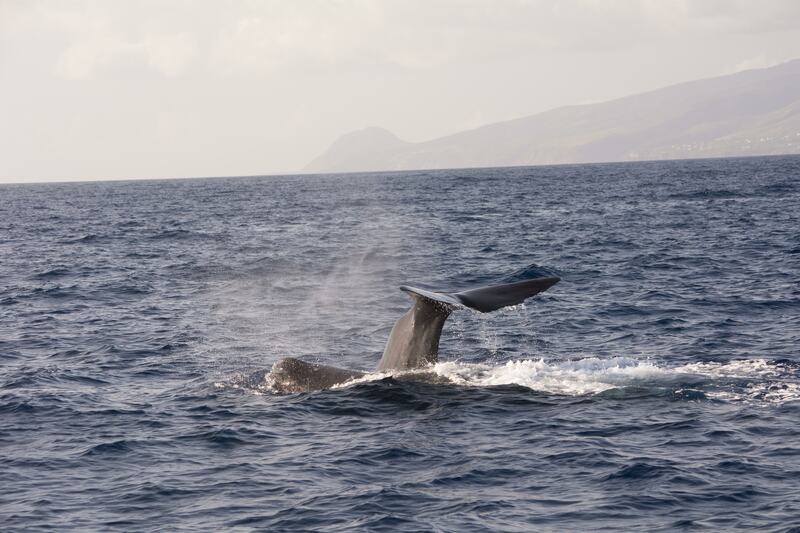 The crew used underwater microphones to detect the whales’ signature clicks and then watched for them to spout. There was one pair that turned out to be a mother with a very large nursing daughter (pictured below as the mom descended). It was a thrill to see these remarkable creatures up close. We also were visited by a group of bottle nosed dolphins who came close to the boat to observe us. The next day one of our fellow divers, Shane Gero, turned out to be a sperm whale expert who’d spent several years studying the Dominica sperm whale families. We learned more about their family structure, habits, and culture. They eat giant squid, which live thousands of feet down. Family group are all females, joined by males only at breeding time. When orcas threaten the young, the family forms a circle around the babies, with heads inward, and ward off the attacker with their tails. 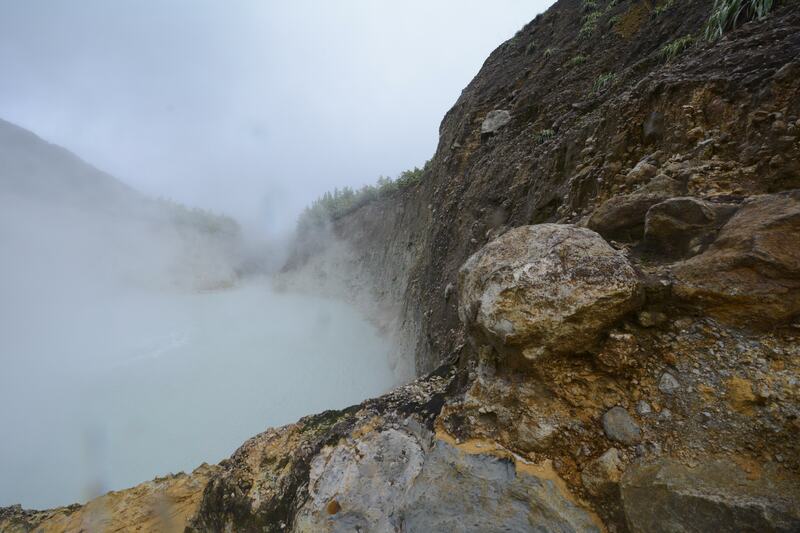 Our most remarkable land expedition was a hike to the Boiling Lake, an area of active volcanic activity, which took about seven arduous hours through the rainforest and up and down mountains. Along the way there were spectacular vistas, rivers, and waterfalls. For much of the time, though, I was entirely focussed on finding the next safe spot to put my foot, and in some climbing points, my hand. With Sally’s encouragement, I took along a walking stick, and was glad I did – it was helpful in many situations, such as stepping from rock to rock over fast-moving streams. We did not bring along rain gear, which was an unfortunate oversight – it rained on us for much of the hike and we were well soaked. I’d thought of hiking as a relatively placid physical activity, but this was anything but. It required engagement and commitment at the level of double black diamond skiing. I was very glad to get back at last, but soon began thinking about how I’d like to do more of it. I was, however, sore and beat up by the end of the week. I took a fall getting on the boat early in the week and badly sprained my right (dominant) hand, and worked up a major blister on my right foot. Paradise can be hard on a body! 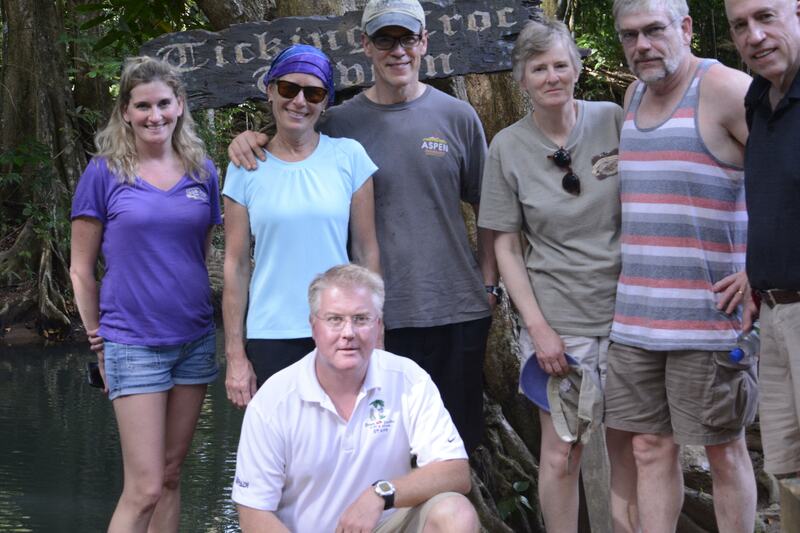 The trip was led by Scott Powell, proprietor of Down Under Surf and Scuba, with remarkable energy and good cheer. Scott made sure we had interesting dives, good meals, and fun activities. On the van ride back to the airport, Scott and I noticed that the driver was falling asleep and barely keeping the van on the twisty mountain roads. He worked hard to keep the poor fellow awake (and us alive) by asking him everything he could think of about local geography and culture. We made it, obviously (whew!). Good job, Scott!